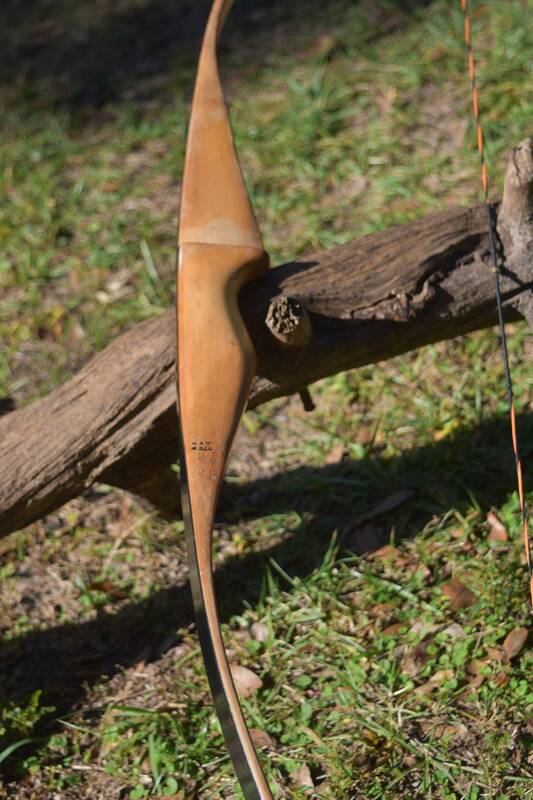 Archery bow, vintage recurve bow, unmarked recurve bow. 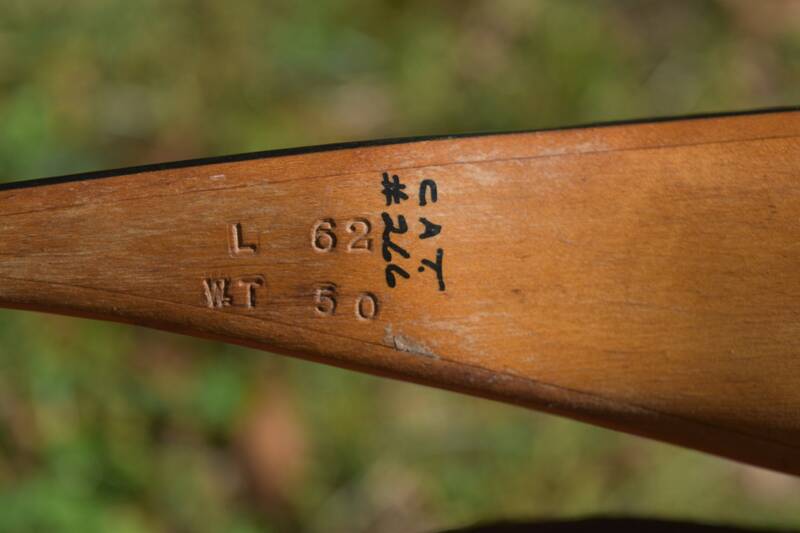 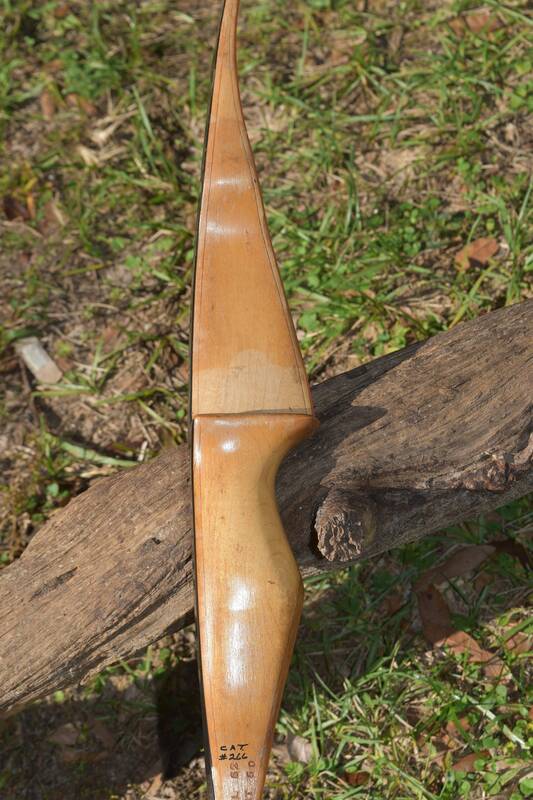 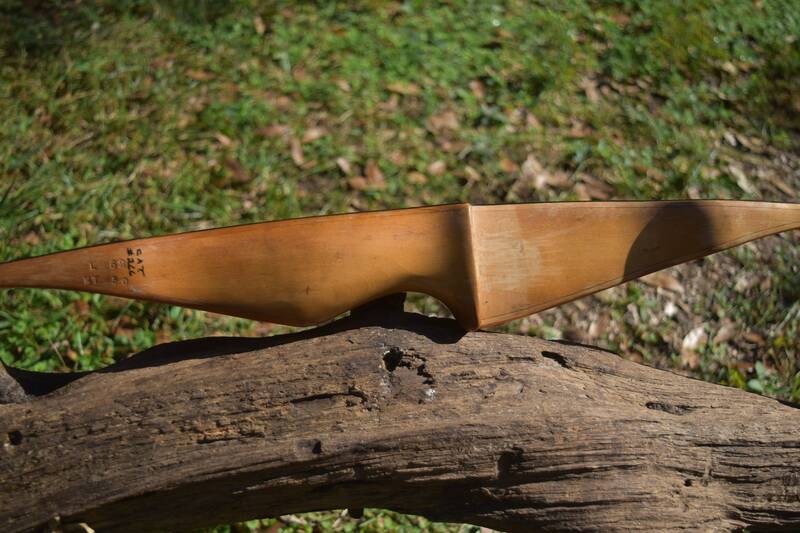 This vintage recurve bow is unmarked but I believe it may be and "Indian" brand bow. 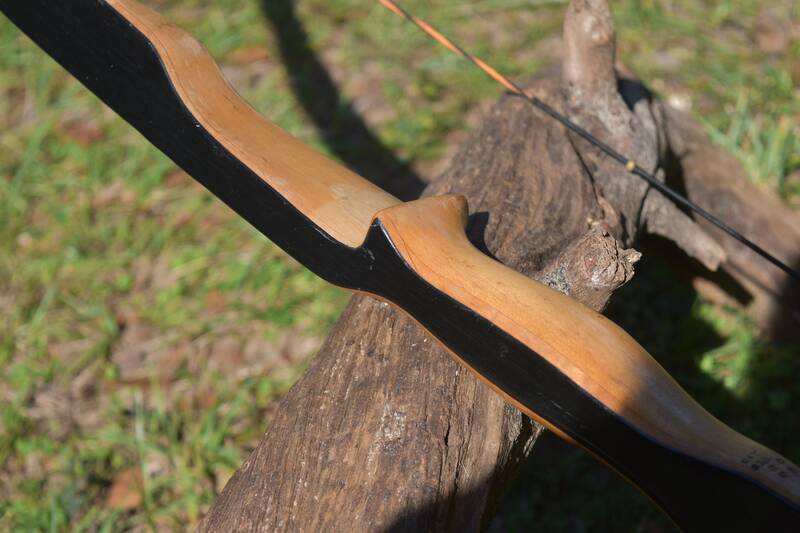 The bow is 50# @ 28 inches and has a 62 inch AMO. 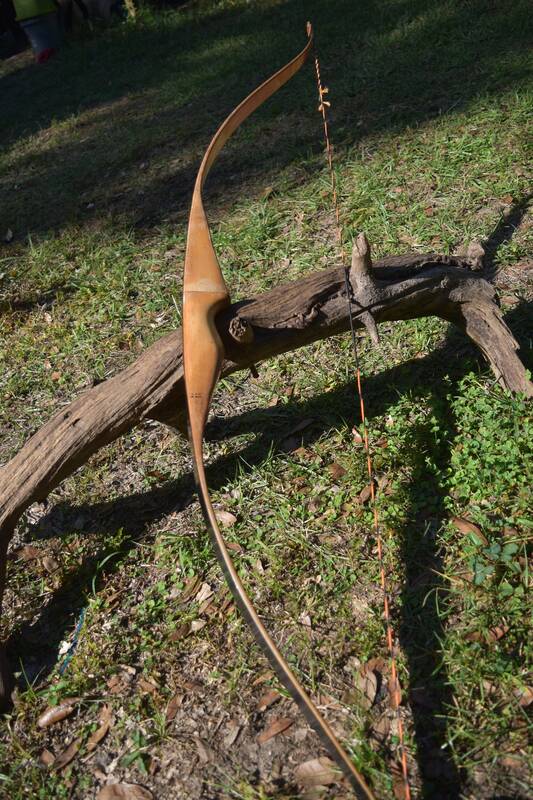 The bow is in good vintage condition with a bit of the finish on the riser wearing off. 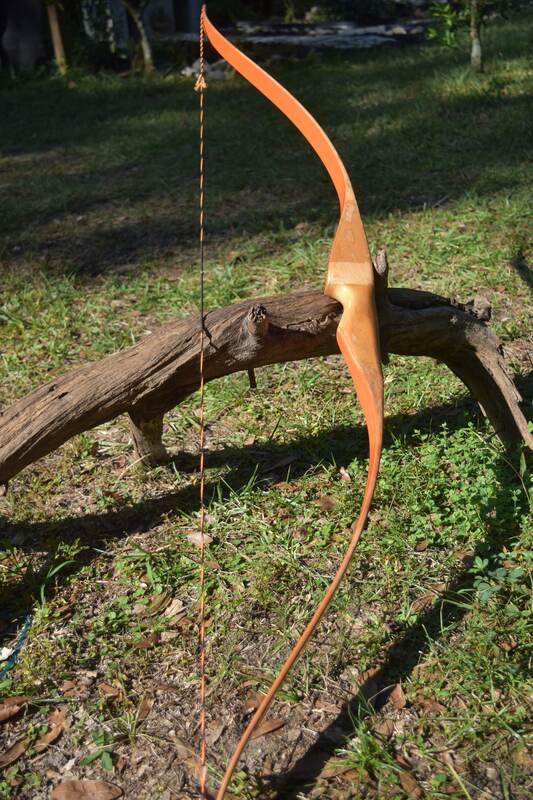 The bow sports a light wood riser and black fiberglass in the front with orange fiberglass in the back. 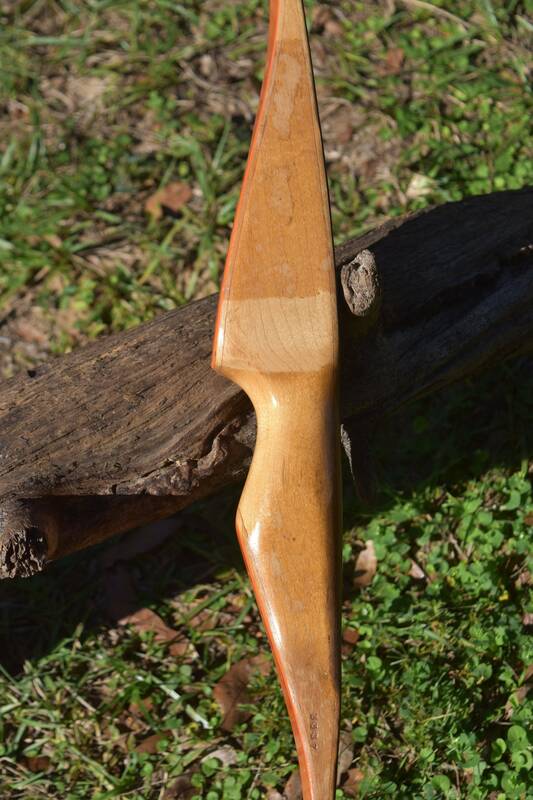 It's right handed and a nice shooting bow. 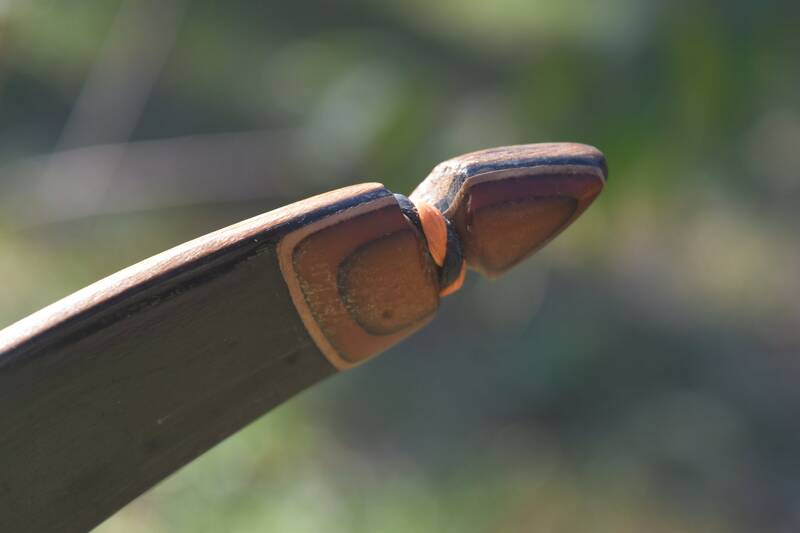 The bow comes equipped with a orange and black Flemish twist string with serving and nocking point, making it ready to shoot upon arrival.